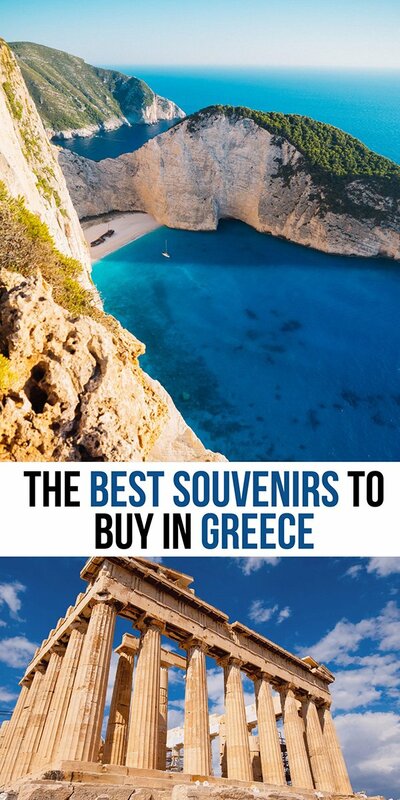 If you are wondering what to buy in Greece as you plan your upcoming trip, you are in the right place! 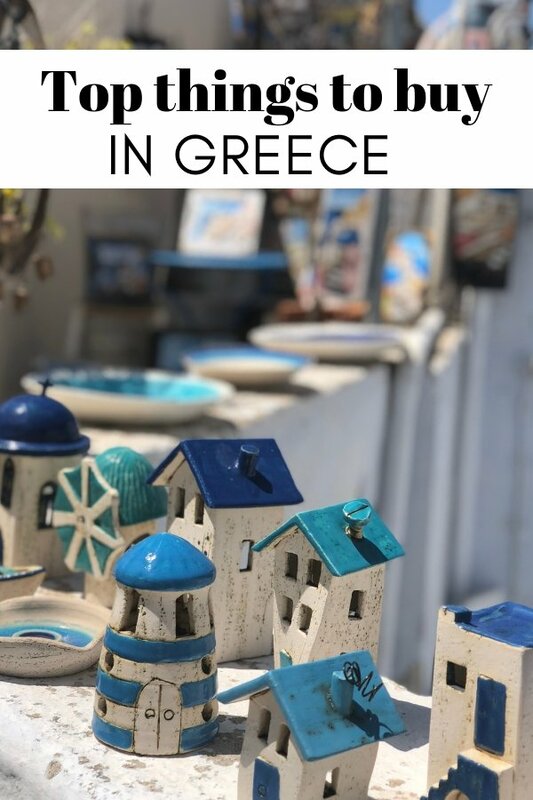 Greek souvenirs are available all over the country and make a great gift for friends and family back home or something to bring back as a memento of your travels. I always allow my boys to pick out something from our travels and also try and include the country’s flag as well. This trip was no different. They struggled to choose something small to bring home as there were so many statues that they wanted to add to their collection. Olive trees, thousands of years old are found throughout the Aegean. It is thought that cultivation goes back to Neolithic times on the Greek island of Crete. If you are looking for one of the top things to buy in Greece, grab yourself some extra virgin olive oil. If you are into soaps, stock up on some Olive Oil soap. Now one of the most popular ingredients in soaps and excellent for sensitive skin. These are one of the things to buy in Athens to take home as it does not spill and will not break! The Evil eye is a common sight around the Mediterranean. It is to ward off envy or bad luck in Greece. If you are wondering what to buy in Greece, pick up one of these for your home! Evil Eye and Turkey. 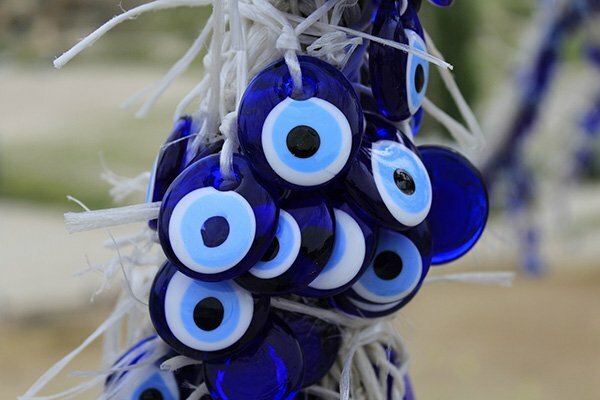 If you are planning on visiting Turkey, they also have the evil eye EVERYWHERE and they are much cheaper than in Greece, so save yourself a few dollars. You can read what else to buy in Turkey here. Almost every Greek man will be seen with worry beads in his hand or hanging out of his pocket. Known as komboloi, it is one of those greek souvenirs that you might not have any use for, but they are beautiful as a decoration. Perhaps they were the world’s first fight spinners, I considered getting my kids one each. In many other cultures, they are known as prayer beads to keep track of prayers or calm the mind, but Greeks have adopted the habit as a secular, rather than a religious, hobby. It is meant as a calming practice, and used to reduce stress. 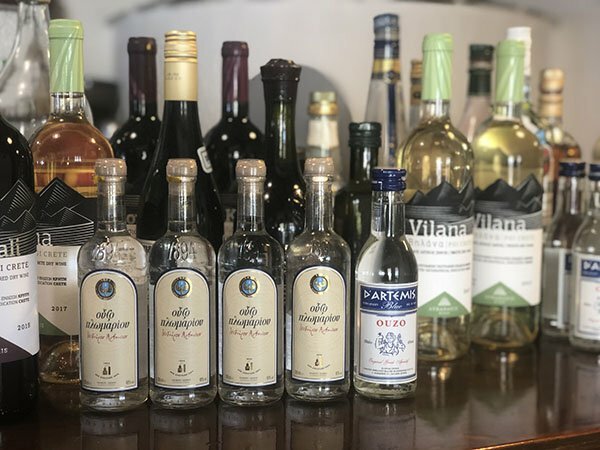 Ouzo – A popular greek spirit can be found just about anywhere. Looking for what to buy in Greece to bring home to a friend? How about a little bottle of this stuff! Alcohol is VERY cheap in Greece and plays a role in daily lifestyle. I total opposite from my recent travels in the Middle East, but a welcome change! Do not be surprised when wine is offered when you check into a small boutique hotel or Airbnb. Distilled spirits are very popular in Greece and Ouzo is one of the most popular. I grabbed a few small bottles to bring home to my spirit drinking friends and cannot wait to crack them open! Wine is also popular in Greece and I had fun browsing the aisles of the grocery store trying to decide which one to bring home for dinner! When a bottle is just a couple of Euros, you might as well enjoy a different bottle with each meal! Greeks love their sweets. Why not bring some halva, or baklava or other treats home as a souvenir of your Greece Trip! I am partial to halva but others will tell you that the diamond shaped baklava is the way to go! Make sure you try at least one or the other while you are in Greece. While halva is an easier greek souvenir to bring home, enjoy the baklava and other sweet treats while you are there. When Greeks visit friends, they usually buy cakes rather than make them. There are so many amazing bakeries all over, you will not have a hard time falling in love with Greek deserts. If you want to know where to get some great food while visiting Athens, check out the Best Athens Restaurants. This instrument became extremely popular in the 1920s and is synonymous with greek music. If you are looking for a unique Greek souvenir to bring home, consider a musical instrument. While they can be tough to travel with, you can find Bouzouki shops that have miniature ones. A backgammon board is what to buy in Greece for a statement coffee table item! I love when my souvenirs tell a story and it is something that I can not only use to play, but also evokes strong feelings of the Aegean and my time in Greece. Backgammon is an easy game for me to teach my kids, something to pass the time, and a reason for us to sit around and chat about Greece and our time there, long after we have returned home. 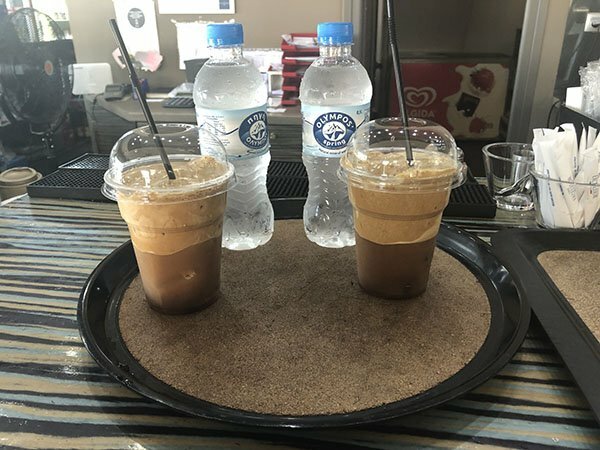 This cold coffee was so nice on a hot day in Greece. But do not ask for Turkish Coffee in Greece! Instead ask for Greek coffee! While you are in Greece, bring some home with you. It is one of the top things to buy in Greece. Do not go asking for Turkish coffee in Greece! If you are a coffee lover and want to buy one of the cheap things to buy in Greece, look no further than Greek coffee! 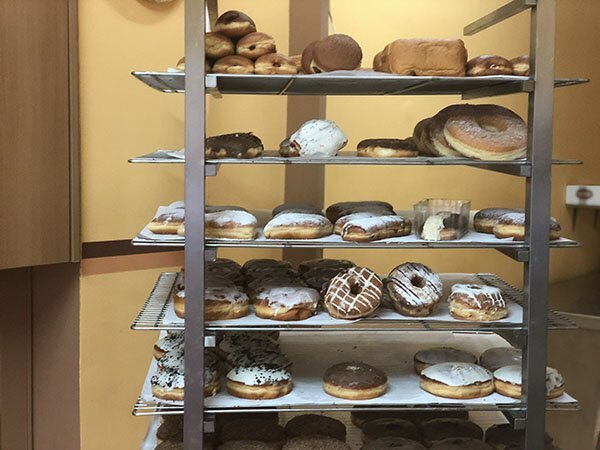 Try it while you visit and get a feel for how it is made and then bring some home to share with your family! Greek Tea is also a cheap Greek souvenir. If you are planning on ever going to a toga party, pick yourself up an adorable greek crown or headband. I bought one for myself while shopping in Greece and get fabulous comments on it. It also made this year’s halloween costume super easy! 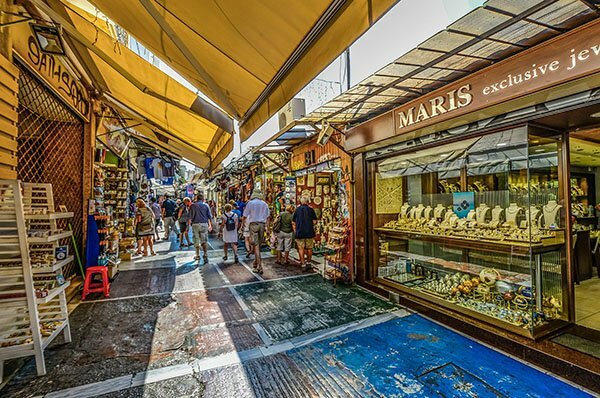 There is also plenty of handmade greek jewelry for you to buy on your trip. Wind Mills are synonymous with the Greek island of Santorini. While wandering the white-washed labyrinth of pathways you are sure to see small shops selling them. 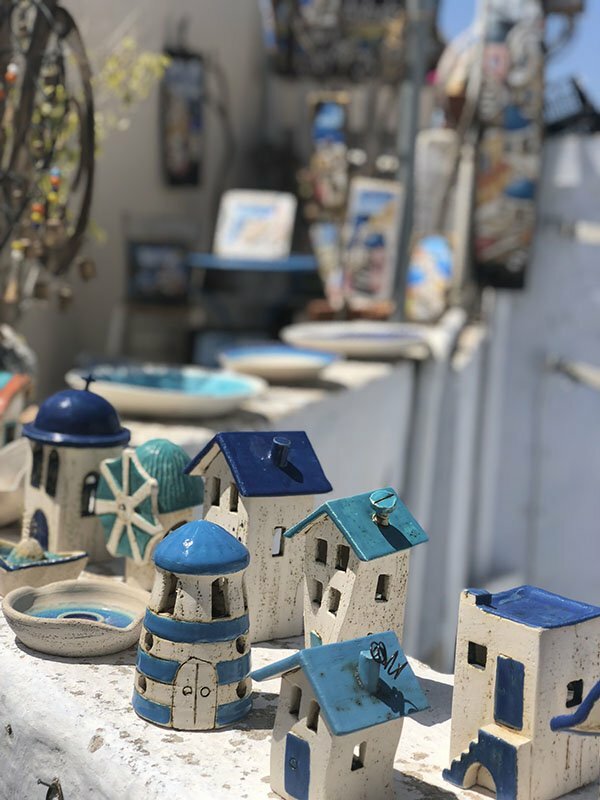 With their blue and white colors, they are one of the best things to buy in Santorini! We had a hard time deciding on just one statue to bring home to go with the one we bought in Egypt. There are plenty of shops selling statues from cheap to very expensive! Our favourite ones were in the Athens neighbourhood of Plaka. My kids say these are the best souvenirs from Greece! Complete your shopping in Greece and complement your stylish outfit with a pair of handmade leather sandals. They are surprisingly affordable compared to what I expected and they are perfect to wear while in Greece and when you come home! 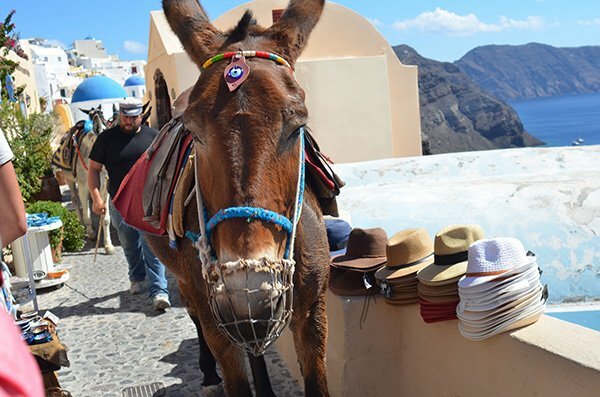 If you are going to Santorini, the typical tourist item revolves around the Santorini Donkey. They are on t-shirts, ornaments, the name of wine, stuffed animals for kids and are just about EVERYWHERE! They are by far, the most popular souvenirs from Santorini. Before you visit, read this post is Santorini safe, so you are aware of how to keep safe while visiting. When in grocery stores in Greece, note that most labelling is in GREEK ONLY! It made for some fun navigating! But I love seeing what is in a typical Greek store and wandering the aisles. Do you? I will have a post on Greek Grocery stores coming up soon! 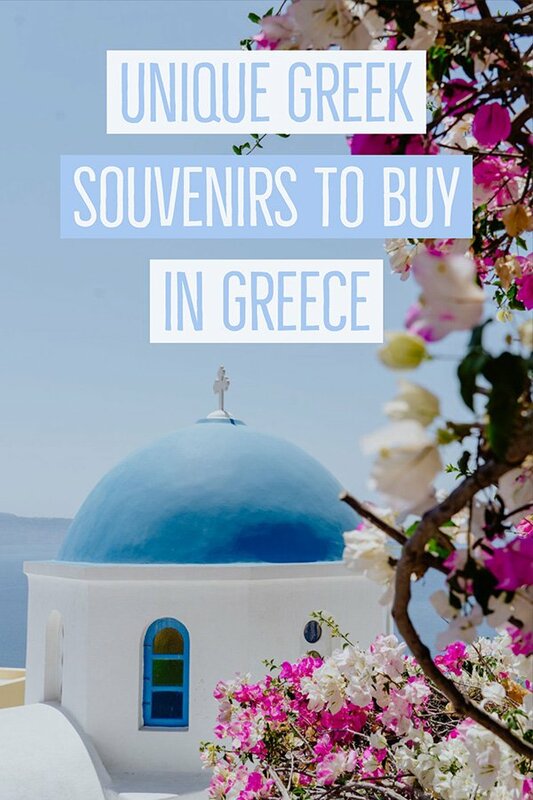 I hope you have some great ideas for what to buy in Greece as you visit this beautifully diverse country! While you explore the mainland and island hop, enjoy the plethora of great food (ohhhh the cheese! ), the friendly hospitality of Greeks and the wonderful adventures you encounter! If you are planning on Island hopping, check out my 2 days in Santorini itinerary. There are so many places to explore on this beautful island, but go for the views, and then get hopping! there is so much more to explore in Greece! I highly recommend visiting Meteora. Here is our guide on how to get from Athens to Meteora and what to expect. Like what you read? 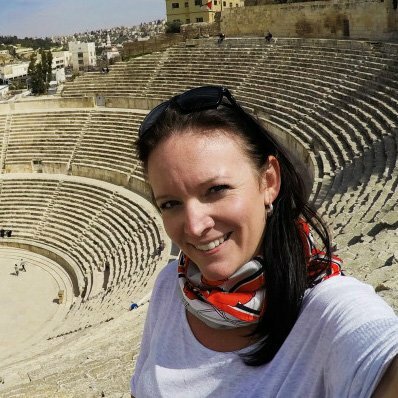 Check out my series of “What to Buy” souvenir posts on: Egypt, Turkey, and Canada! ← Is Egypt Safe to Travel To? glad it was helpful Melissa! me too 🙂 Do you have a favorite from anywhere recently?